Breathe new life into your files, photos, and videos by storing it into this unique Refreshment Beer Bottle Shaped USB Drive as your company gets the marketing refreshment it needs! Delivering an ornate style is its metal case, key chain that entwines onto the top of the bottle, and its twirling mechanism that easily opens the USB drive. 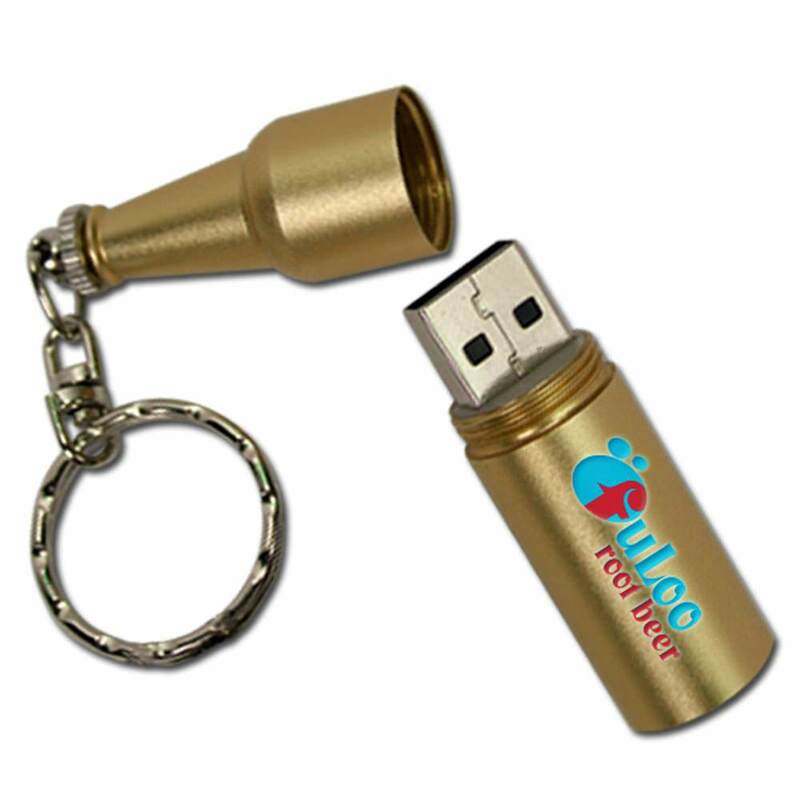 Providing a huge coverage print for your company logo, this USB drive is an awesome promotional item for nightclubs, pubs, brewery, beer and wine store companies. It drinks up files in such a cool way that your business will never be far from anyone’s mind. Let this amazing beer bottle shaped Refreshment USB flash drive do the branding for you. Cheers to that! 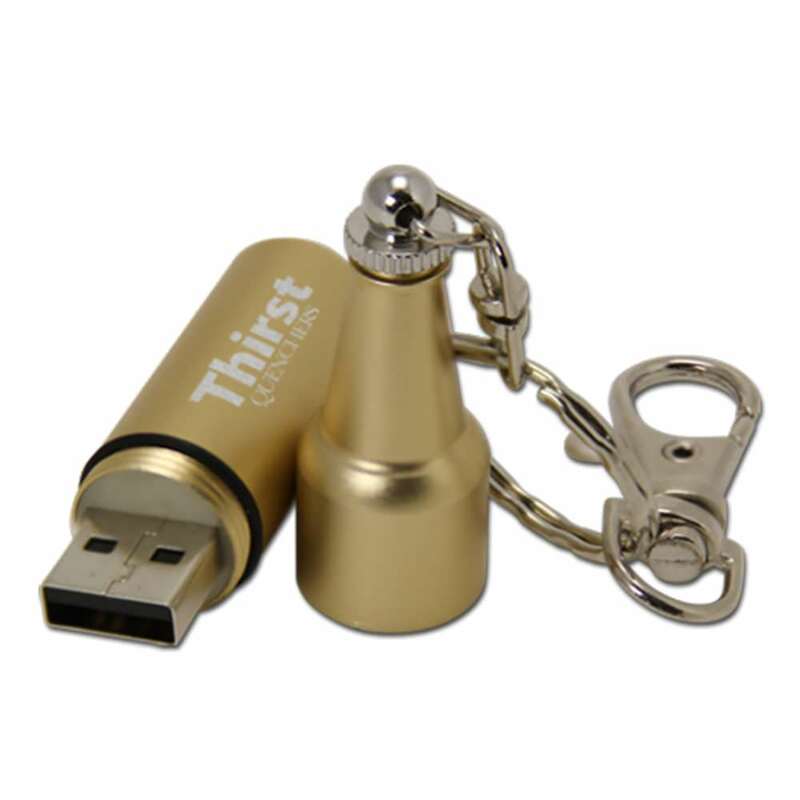 Refresh your sales numbers with the Refreshment Beer Bottle shaped promotional USB drive! It’s a great tool for use in the restaurant, fine foods, bar, and pub markets! Customers love the fun shape and hidden USB drive right inside. The keychain loop makes it easy to put on keys or keep on a carabiner for quick access. The bottle comes in a variety of colors that you can pair to suit your custom printed logo.